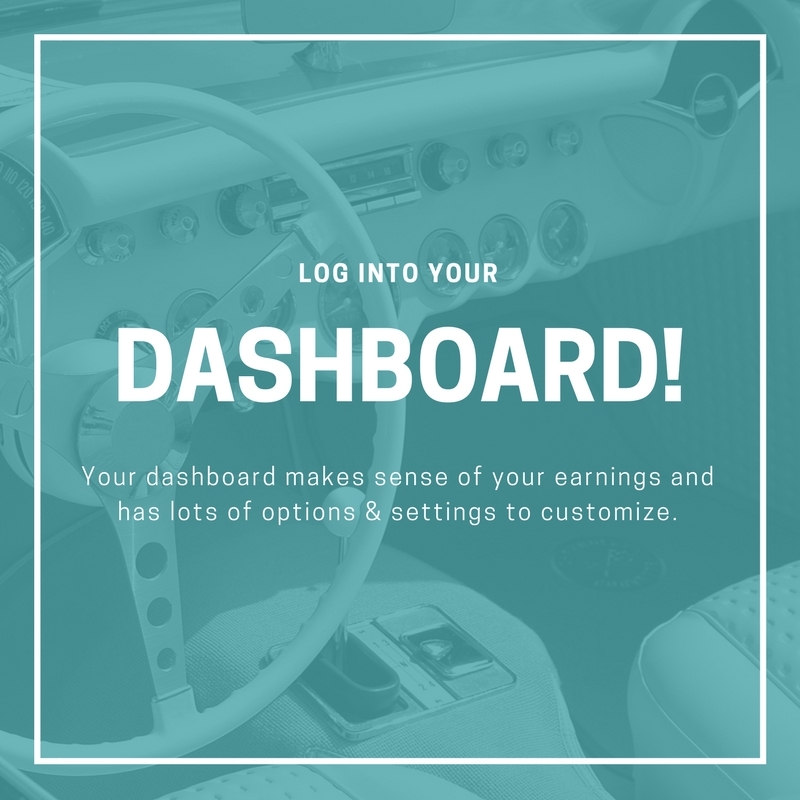 You now have access to the most comprehensive and powerful dashboard in the industry, and I want to take a few minutes to walk you through some of the most used sections. 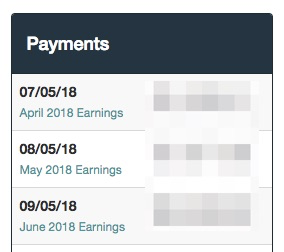 This section will tell you exactly what you made yesterday, so far this month, and what you earned last month. 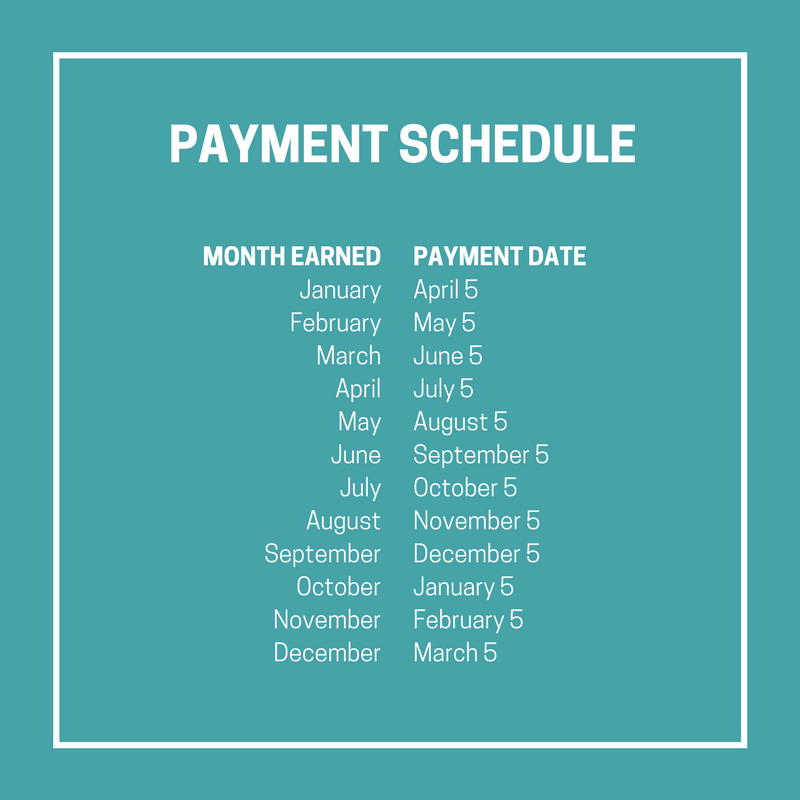 Wondering how much your next payment is going to be? This is where you can look. 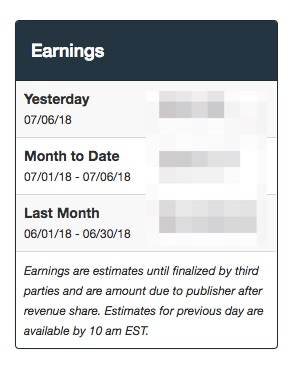 If you click on the blue link below the date, it'll take you to a breakdown of that month's earnings so you can see any extras listed like your bonus, or sponsored post payments. When you join Mediavine, your launch date is also known as your ANNIVERSARY date. 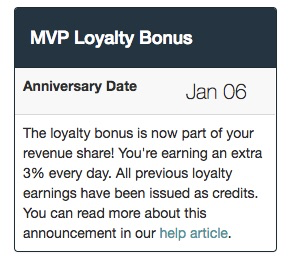 Our bonus program gives you an added boost to your revenue share percentage. For more info, please check out this page. It gives all the ins and outs of the program. This section is REALLY important. 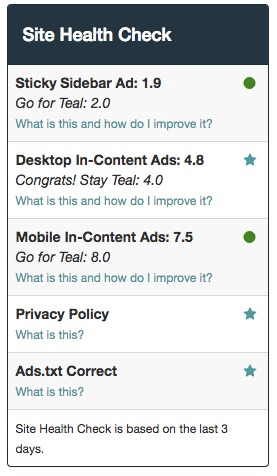 It is telling you if your ads are performing at healthy levels or not. If you see orange or red here, it means there is room for improvement. The links below the health check will walk you through different optimizations you can make, and the support team is here to help too. Your site health check will be available after you've been live for a week and we get to gather some data!